The Village of Clifton which was laid out in streets and building lots as early as 1832 by land owner, Captain Ogden Crieghton. He gave his future settlement the name “Clifton”. The name Clifton was derived from the town of the same name in England. Captain Ogden Crieghton, a British Army officer purchased the property from the Phillip Bender family who had acquired this property in 1782 as part of a United Empire Loyalist (UEL) land grant. This land is today encompasses a major portion of the primary tourist core in Niagara Falls, Ontario. Captain Crieghton did little more with his subdivisions than conducting some preliminary surveying before he left Niagara Falls four years later. In 1837, Captain Crieghton went to York (now Toronto) to fight in the rebellion. It was here that he died. The wife of Captain Creighton’s widow inherited ownership of his land holdings. She sold the property to contractor/financier Samuel Zimmerman. 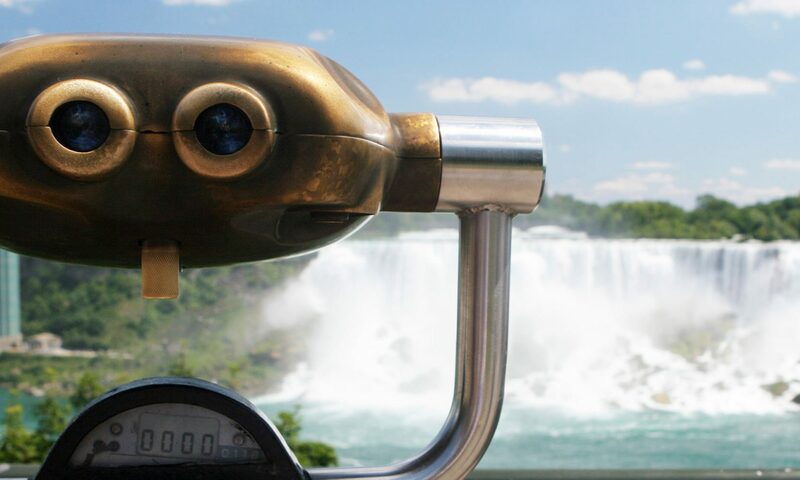 In 1842, Samuel Zimmerman came to Niagara Falls. Within 15 years, Zimmerman a shrewd financier/businessman had become the owner of most of the lands in the town. He was the primary contractor of the building of the Great Western Railroad from Hamilton to Niagara Falls. He was also a primary supporter of the first railway suspension bridge to be built across the Niagara River Gorge. In a short period of time, Zimmerman became one of the richest men in Upper Canada. Zimmerman retained the name of “Clifton” for the fledgling village he had purchased and promoted. He retained and maintained Captain Creighton’s street design but had the Erie & Niagara Railway routed through his subdivision, since he was the chief owner of the railway. In 1856, the Village of Clifton became large enough to warrant a post office. In 1856, the Village of Clifton and the north end Village of Elgin were amalgamated to become the Town of Clifton. The Village of Elgin had existed since 1848. In October of 1881, at the request of its residents, the former Town of Clifton received permission from government to change it’s name to the Town of Niagara Falls. By 1881, the population of the Town of Niagara Falls was 2,623 citizens.